Realism in videogames has been an important goal for quite some time now, the chance to replicate the real world an enticing prospect for developers across multiple genres. 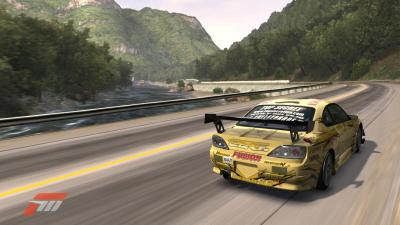 It is most prevalent, however, in the racing genre, with simulations and even arcade racing titles -- now selling themselves on things like their accessibility for real world tracks and cars, rather than presenting, say, a fictional experience like Mario Kart -- aspiring to be as realistic as possible. It’s an interesting thing to observe as companies like EA and Codemasters fight over who has the most realistic looking game or who can deliver the best handling physics, but it is even more interesting to contemplate, particularly as we have now reached a point where games are (or can be) so good that the hunt for realism may be redundant. To understand this, let’s take some time to look at how racing games are marketed, and what developers do during development to ensure authenticity. On the development side, more and more these days the various racing game developers out there -- Codemasters, SimBin, Polyphony, Bizarre (RIP) and etc. -- will take the time to visit locations they may be using as settings for their tracks, taking thousands of photographs to ensure that every last detail can be replicated authentically. While they are all aware of how gameplay (IE: the racing) is the absolute most important thing -- and they are prepared to take liberties where necessary to ensure that -- the more realistic these locations can look in a game, the better they feel the final product will be. This is true to some extent: racing around the Nürburgring or Silverstone is great in theory, but it is not going to feel like you, the player, are doing so unless it looks like you expect it to, be that impression from something like TV footage or an actual visit yourself. This means ensuring all the corners appear to be angled correctly, reproducing the ‘flow’ of a circuit and correlating that with the image you might have of it in your head; that undulations and bumps are simulated as they exist in real life, lest your track feels flat and, by extension, dull; and making sure that buildings, pitlane and the general environment looks like it does at the real venue because, otherwise, you’re not racing at that track, are you? Such attention to detail coincides with some developers’ strong desire to make everything perfect, such as Polyphony, and the result is the highly competitive, high fidelity graphics push for (or towards) perfection that defines, in some respects, titles like Forza and Gran Turismo. But that’s appearance, just one aspect of the equation -- audio and, most importantly, feel are significant too, particularly if a game is purporting to be a simulation. Real or in game? You decide. The aforementioned developers also allocate time during development for “track days” or “recording days” to try and capture (both literally and figuratively) the realism of racing cars in real life, focusing on things like engine notes (sound) and oversteer (feel) in order to accurately reproduce these elements in the final product. On the sound side of things microphones will be attached to a variety of vehicles as they are being driven around a track, capturing the melody a car makes as it brakes for corners, accelerates out of them and even when they lose control or crash. A car’s engine sound is, obviously, the most important noise that has to be captured, but these sessions also record everything from the tyres to track ambiance and a car’s various clanks and clunks as it rides over bumps and bounces off of curbs. Cars will be also put on Dyno machines so an engine’s revs can be recorded at ranges that mightn’t necessarily be reached out on track, and so things like gear changes can also be reproduced as accurately as possible. 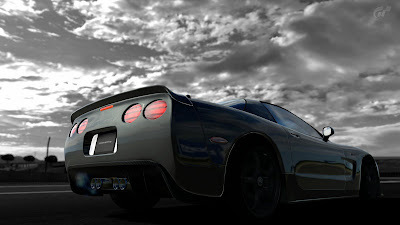 A racing game just isn’t going to feel right if a Ferrari sounds like a Corvette (IE: using generic sounds because a budget doesn’t allow for the real ones to be captured) and, as such, this practice has become common for realistic racing games over the years. Less frequent amongst the industry is developers attending track days or visiting real world circuits in order to get a feel for how cars behave on a circuit, and to understand what needs to be included in a physics system to ensure that, once again, it feels ‘right’ once it is integrated in the final product. The big names -- again, Forza and Gran Turismo -- have done it for years because their reputation and consumer respect rides on the intricacies and subtleties their simulations can deliver, but it’s still somewhat rare for other developers to do it, and that’s a shame. This generation has seen that approach change, somewhat, and developers like Codemasters* are now making the effort to attend rally schools for a game like DiRT 3, to make sure that their product delivers on the expectations created by their players. You don’t want a rally game to feel like you are playing Grand Theft Auto, after all, so getting a feel for how a car behaves as it slides on mud and dirt is essential to the kind of experience you can ultimately deliver. You can portray the general idea, sure -- as games in the past have -- but it’s simply not the same as going out there, on track, and understanding how a car behaves as it takes chicanes and hairpins at speed. In other words, any racing title that doesn’t make the effort to record sound and car behaviour, and capture the essence of a circuit’s appearance through photography, is selling its customers short, and offering an inferior product when compared to the competition as a whole. But such attention to detail isn’t necessarily going to sell your game; there are, indeed, other methods too. The first of these uses everything I have just described above. You need to demonstrate, to your customers, that you are serious about realism and authenticity, and the way to do that is to provide proof. This can be achieved by, for example, showcasing some of the photos taken at the locations visited or posting up an audio file of a car revving its engine, or you could go deeper and actually document your visit to the track with developer diaries. The entire medium is accustomed to developer diaries these days and the reason for that is because it’s a great way to highlight your intentions as a developer, explain what it is about your game that makes it worth buying and answer any questions that may be frequently asked. For racing games in particular, it is also a great opportunity to show that yes, you did actually visit a city or circuit. Footage of designers hooning around a track, sound producers capturing audio and your development team explaining what you’re doing at these venues can go a long way in conveying how important realism is for your product and it also becomes, in some instances, a selling point itself. Evidence of your attempts to ensure authenticity -- or in other words, practicing what you preach -- is a big coup for people who want the racing experience you purport to be making, because you are illustrating to them, directly, that you get it and understand what it takes to make a game like this. Taking the time to explain what you’re doing in detail can also grab the potential customers who don’t understand the science of racing but want to participate in a game that replicates what it is like to drive around Le Mans, or what it’s like to be in Formula 1. In other words, showing, not telling can be crucial to selling your product, and does a much better job than the other commonly seen practice: borrowing the names of famous drivers. You'd be forgiven for thinking this is a real photograph. Colin McRae (RIP), Mario Andretti, Ken Block -- these are all names that are synonymous with racing games, perhaps even more so than the sports in which they compete, and the licensing of these names can go a long way in selling a product. This is something that isn’t exclusive to videogames -- celebrities sell, it’s just the way it is -- but definitely suggests an authentic experience to those searching for one. If a racing driver is involved then, clearly, it must be realistic, right? Well no, money talks and no matter who you manage to obtain for an appearance in your game or, indeed, its title, it doesn’t mean a thing if the end product is poor. But the implication that comes with it is enough to make a game appealing to a wider variety of people and, generally, coincides with the effort I’ve described above. Enlisting a driver means enlisting their talents: getting them to test your game to see if it feels right or using their knowledge to improve accuracy drastically affects the game you are making in a positive way, and can be the difference between whether you nail it or fail it. It also means that you can capture details that your inexperience mightn’t have noticed, enhancing the overall experience even if the majority of its eventual players won’t pick up on them. This is the kind of stuff I’m referring to when I say, for example, that Forza 3 has more nuance than Gran Turismo 5, and while those two games don’t use real world drivers as a selling point, the information they can glean from people like Sebastian Vettel or Mika Salo certainly makes the difference. The combination of a real driver’s input and the data obtained at track visits can ensure that, yes, you do deliver on authenticity and realism, and demonstrating that you took the time to gather that information publically can guarantee stronger sales. That’s not to say that doing this can’t be deceiving -- some games do rely on a driver’s name or footage from a track day to sell a game even though the final product is still rather unrealistic -- but generally speaking if you take the time to do it, people will take the time to play your game. 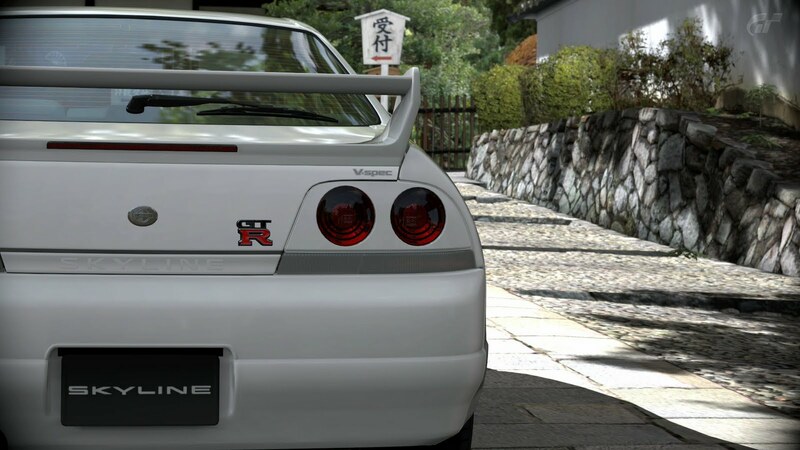 Ultimately the push for realism has elevated the racing genre to levels that were unfathomable back in the PS1 era (for example), but that doesn’t mean the various racing games out there are perfect and there’s definitely a lot of progress yet to be made. Graphically, photorealism is practically already here so the graphics contest is beginning to slow down, but there’s still a lot that can be done with the way cars handle and how a track changes over time, so I look forward to a future where that level of realism can be parallel with fidelity and delivered confidently across the entire genre. In the meantime, what we have is already incredibly impressive and by writing about it here, I hope I have highlighted that because it is something, unfortunately, that is mostly overlooked. Happy racing. *That’s not to say that Codies or anyone else hasn’t done it in the past, just that generally, such effort hasn’t been seen as being crucial to development and now developers are beginning to understand the impact such a practice can have on their games.